I'm a sucker for cyberpunk. Let's put that out there right off the bat. Honesty's the best policy, right? See, I cut my teeth on Shadowrun novels when I was growing up, and I've always had a soft spot for the genre because of it. Shadowrun is a glorious mishmash of everything good in the world: sci-fi, corporate dystopia, computers, cybernetics, and a big heaping dose of everything fantasy. I love it. I could eat it every meal for a week straight and still love every bite. 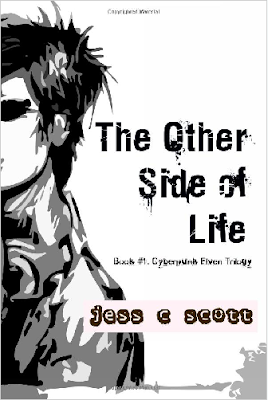 So when I heard about the new cyberpunk novel The Other Side of Life by Jess C. Scott of course I jumped at the chance to read it. I also jumped at the chance to interview its wonderful author, but for that you'll have to look over here somewhere. 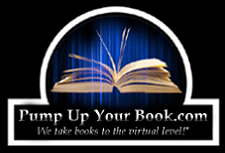 For now we're talking books and my opinion of them. We'll get to Jess later, I promise. Much like the aforementioned darling of my misspent youth, The Other Side of Life includes a healthy dose of urban fantasy along with its cyberpunk trappings. Scott imagines a world dominated the corporate machine, a world beholden to the newest gadget or the latest cosmetic surgery or the coolest car. In other words, a world not all that different from ours. But in this word there is an opposing force, a race of elves that skulks the shadows on the fringes of the human world, hiding their true identities in order to subtlety guide events and protect their way of life. At one time the Elves and Humans lived in peace together, but long ago humankind chose to forsake magic and earthen power in favor of machines and science. Now most of mankind do not believe the Elves ever existed in the first place, and elvenkind live sequestered within their invisible palaces, content but to watch as their distant cousins drown under the weight of their own iniquity. That is, of course, except for a talented band of techno-brigands charged with reclaiming lost Elven artifacts, which is where our story starts off. Nin, the unspoken leader of the Elven trio, approaches a pair of ladies for aid in stealing a shred of parchment which holds the missing piece of an ancient Elven poem. The girls are Anya and Leticia, university students whose financial aid package includes stealing various and sundry valuables and selling them to the highest bidder. Nin eventually reveals his true identity and that of his companions to the girls as well as the history of the Elves. In the process he begins to develop feelings for Anya, which she reciprocates in the usual teenage fashion with lots of blushing and stuttering and daydreaming about his stupefyingly good looks. Thus ensues the typical fumbling and feeling around that happens with any budding young romance; however, before things can really get going, complications arise during their break-in attempt, sending their new-found attraction to the back burner. It is discovered that the pharmaceutical corporation Xenith has been harvesting the root of the tree Bloodstar, a tree in the Amazon Basin that is literally the Tree of Life, the root of all life on earth. The root has heretofore been used as ingredients in anti-aging products, but the corporation has plans to use an ancient Elven ritual (contained in the poem I mentioned earlier) to destroy the tree and distill from it the means of obtaining eternal life. And then off our motley band goes to foil the evil corporation and save mother earth. That's The Other Side of Life in a nutshell. Sounds pretty cool, right? Well it is. In addition to the thievery adventure and inter-species romance, though, Scott explores a variety of themes--some you typically find in cyberpunk, and some you don't. Of course there's the commercialism aspect, which she neatly weaves into the government intrusion into private life. And computer technology features heavily into the setting, too. For the most part all that is par for the cyberpunk course. What isn't exactly par, however, are the environmental themes Scott incorporates into the story. The combination of cyberpunk and urban fantasy allows her to craft a more poignant message when it comes to the exploitation of the earth by corporate greed. When examined with an allegorical lens, The Other Side of Life is quite literally a story about the destruction of the earth in the name of higher profit margins. Certainly it's an exaggeration of the current state of affairs, but it also serves as a warning of the possible outcomes if we cannot balance the interests of business and progress against the ecological health of the planet as a whole. Pretty cool stuff. What didn't I like about the book? Well, there were a couple of things. Not anything major, mind you, but some things both technical and stylistic that could be improved upon. For one, there were a lot of unnecessary of commas. I mean really. A lot. Those things procreate like rabbits in heat. But while my inner-English teacher cringes every time it sees an unneeded comma, it's really not that big of a deal and it won't utterly ruin the reading experience (unless you're an even stricter grammarian than me, which is unlikely). A slightly bigger deal, though still not at all an earth-shattering flaw, is the handling of perspective, especially earlier on in the book. Many times the perspective will switch from character to character inside of one scene. It's almost like a game of POV hot potato, with no one character hanging onto it for very long before flinging it over to another—and almost never with a proper scene break. Generally it goes back and forth between just between Anya and Nin, but even that was bothersome for me. Then again I'm something of a purist when it comes to point of view, so other folks out there may not find it as troubling as I did. And that's my take on The Other Side of Life. There were some more esoteric aspects that tweaked me ever-so-slightly, but by and large I really did enjoy its cyberpunk deliciousity. I give it three stars. 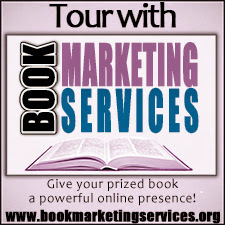 If this review has whetted your appetite for all things Jess C. Scott, you can get an extra fix by taking a look at my interview with the author to learn more about her and her work. You can also visit her blog at jesscscott.wordpress.com, see her publishing website JessInk, or check out her catalogue of published work at Amazon.com and Smashwords.